Not all mistakes or errors that are made at trial can be addressed by means of a conventional criminal appeal. For this reason, many State courts, including New Jersey, allow defendants to challenge the validity of their conviction by means of a motion for post-conviction relief, which is the equivalent of a Federal petition for habeas corpus. A motion for post-conviction relief, also known as a "PCR Motion", is not an appeal. These motions are governed by rules that differ significantly from those that apply to conventional appeals. First, the timeframe for filing this motion is considerably longer than the timeframe for commencing a direct appeal. Under our current rules, the motion must be filed with five years of the date of the conviction, which is the date the defendant was sentenced. Further, a PCR motion will be filed in the trial court that heard the case (as opposed to the Appellate Division), and will typically be heard by the same Superior Court judge who had the case at the trial level. The arguments raised in the motion are also very different from those asserted on appeal. Most PCR motions allege ineffective assistance of counsel. Put somewhat differently, the defendant usually argues that the result in his case is incorrect because his trial attorney did a poor job representing him while the case was before the trial court. In order to mount a successful ineffective assistance argument, a defendant must show both: (a) that his attorney made a mistake or mistakes; and (b) that he was harmed by his attorney's actions or omissions. The PCR motion is an important safeguard built into our criminal justice system, and is designed to provide yet another means of ensuring a defendant has not been wrongfully convicted, and that their constitutional rights were fully protected both before and during trial or the plea process. The motion may be available to a defendant whose appeal was denied. Thus, a defendant who was unsuccessful on appeal should not assume that there is no other means to test the validity of their conviction, since they still may be able to do so by means of a motion for post-conviction relief. 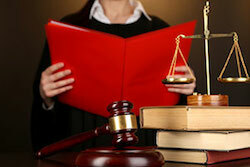 James S. Friedman, LLC, has extensive experience representing defendants in these motions. The firm represents clients on motions for post-conviction relief throughout the New Jersey court system. James S. Friedman, LLC, files PCR motions for individuals whose constitutional rights were violated. As part of its analysis of any post-conviction relief motion, the firm works diligently to investigate whether a client's rights were thoroughly exercised and protected at all stages of their criminal case. Defendants who were wrongfully convicted because their rights were violated may be able to have their conviction vacated by means of a successful motion for post-conviction relief. Even if your appeal was unsuccessful, you may still be able to challenge the validity of your conviction by means of a PCR motion. Contact the criminal defense firm of James S. Friedman, LLC, today to learn whether you can take advantage of this important procedure that is designed to protect your constitutional rights. Contact us online or call 800-361-6554 (toll free).